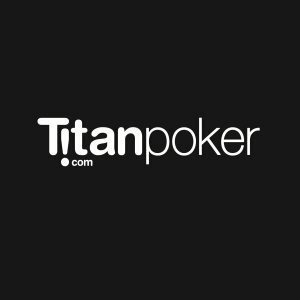 This article will go over the WSOP Warrior League, another way to win your way into the WSOP via Titanpoker. You earn league points by placing well in league tournaments. Become one of the leaders where points are concerned for the chance to win fabulous prizes. The WSOP warrior league consists of eight tournaments. Your best six out of eight tournaments will count towards leaderboard points, so you increase your odds of winning the leaderboard if you can play all of the tourneys. It will cost you a one time fee of $215 to be eligible to play everything. You might not need to play all 8 tourneys. You save a bit of money this way: it costs $193 for 7 games or $171 for 6 games. The WSOP Warrior tournaments will take place on Tuesdays and Saturdays between the end of April and May 21st. The top 50% of the league is eligible to play the Warrior Grand Final on May 24th. You definitely want to do well in this ninth event because it awards two times more league points than the first eight events. Points in league tournaments are awarded based on finishing position. Each event awards 0.5 point just for playing, but first place dishes out a whopping 50 points. This league is awarding WSOP prize packages to its top ten finishers. The first place finisher will receive a $20k package that includes the Main Event and a Side Event! Those that place second and third will also receive smaller packages containing Main Event buy-ins. Fourth through ninth receive Side Event packages, and a trip to Vegas will be given to 10th place. If you can’t make the top ten, you could still win a chance to satellite into the WSOP! WSOP Super Satellite buy-ins valued at $535 will be given to those that place 11th through 20th. People placing between 21st and 100th will receive seats into a WSOP freeroll. By having a huge number of ways to qualify for the WSOP, the site is doing a great job of enticing players. Like pretty much every other poker site, Titanpoker is offering a myriad of satellites for the Main Event. What sets them apart from other sites, though, is their Side Event package that includes entries for lower buy-ins. We will go over the Main Event first and foremost. The Main Event package on Titan is valued at $13k and includes the Main Event buy-in worth $10,000. You get $2020 for expenses and $980 for accommodations in Vegas. You arrive in Vegas on July 8th and, barring a deep run in the event, you will leave on on the 15th. Titan Players winning this package will play on Day 1D of the Main Event. To win a Main Event package, you should plan to be online for the Main Event Super Satellite on Sundays. The buy-in for this tourney is $535. If you don’t have $535 sitting around for a single satellite, a good option for you, then, is to play qualifiers to the Super Satellite. You can win your way into the Super Satellite for as little as $11. If you excel at rebuy events, try your hand at the Rebuy Satellites at 22:00 GMT every Tuesday. This Super Satellite has preliminary qualifiers starting at $8.80. If you would rather play two lower events rather than a single big event, you can try to win a Side Event Package worth $5,500. This package allows you to play two tournaments: Event 48 ($1.5k) and Event 54 ($1k). $1,260 of your package pays for 9 nights at a hotel, and the remaining $1,740 is allocated for miscellaneous expenses. You win Side Event packages by playing the Super Satellites on Thursdays for $215. You can satellite into these Super Satellites for as little as $11. If you like Omaha games, you should try winning the PLO WSOP Package. It is similar to the Main Event Package except it includes $10,000 for a PLO Main Event buy-in instead. This event requires less time in Vegas than the Hold’em Main Event, so a smaller fraction of your prize package goes towards your hotel and a larger fraction goes towards spending money. Titanpker has more WSOP promotions than a lot of the sites out there, so I’ll have to continue this in the next entry. In the meantime, you can get started by getting into a couple Super Satellites!